In this thread you can find all the updates, patches and hotfixes that have come to the PS4 version of Conan Exiles after launch. The newest updates will be at the very top, with the earliest at the bottom. Hopefully this won’t be too big a post to scroll through! Hey everyone! We have a new patch out for the PS4 version to take care of the most recent compatibility issue with the latest PS4 firmware update. 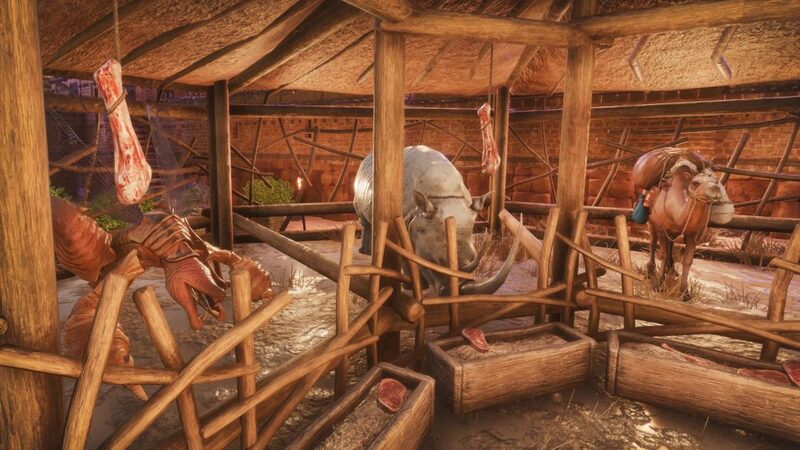 You should now be able to connect to the official servers on the PlayStation 4 version of Conan Exiles again. [notes] [performance] Fixed PS4 compatibility issue with latest firmware update. You should now be able to connect to official servers again. We’re rolling out a quick hotfix for the PS4 to take care of some issues that popped up after the post-Halloween patch. Please not that this patch contains no updates to the Purge system. That is planned to come out in a future patch. We have patched the PS4 version of Conan Exiles and removed the Halloween content from the game. We know the Night of Lost Souls event hasn’t been everyone’s cup of tea and we’re taking several lessons away from the feedback we’ve gotten this past week. This patch contains a number of updates to the Event Log so it will log more information related to pets, thralls and items. We’ve also fixed several bugs related to player corpses. Today we are kicking off our Halloween event, which will run throughout the game during the next week. Welcome, exiles, to the Night of Lost Souls! The sky will darken as perpetual dusk falls upon the landscape, casting it in black shadows and blue light, tearing at the boundaries which separate the world of the living from the realms of the dead. The clouds will part. A new face will appear upon the moon’s surface. It is the face of death, keeping watch over whatever might stir on the ground below. During the Night of Lost Souls, stones will fall from the sky in multitudes, striking the earth in a flurry of colored smoke and debris. Adventurous exiles can break open these stones with whatever tool they have available. Inside, they will find a plethora of crafting ingredients, both rare and common, doled out at random by the spirits lingering inside the stones, anything from Plant Fiber and Meat to Explosive Glands, Arrows and Steelfire. It all depends on the spirit’s goodwill. Inside the fallen stones you will also discover the Potion of Lost Souls, a special brew only available on this hallowed night. Imbibing the Potion will grant you certain benefits at random. Drink one and see what happens, but don’t drink too many or your body will suffer the consequences. Don’t say we didn’t warn you. After a week, the Night of Lost Souls will pass and the sun will once again rise on the Exiled Lands. The restless spirits will be calm, yet their gifts will remain with those who received them. You can use the following console commands to control meteor spawns (if you plug a keyboard into your PS4) and decay where X is the multiplier for time. – The higher number, the rarer meteors are. Set this to a low number for more or less constant meteors. Fixed a bug where an Animal Pen would not be able to craft Pets after clearing the queue while a Pet was being tamed. We’re rolling out a hotfix to take care of the most reported issues with the Halloween update released yesterday. We want to thank our community for reporting these issues to us and for staying patient and positive as we fixed them. In this hotfix we’re tweaking the game so it will be easier for players to see in the eternal twilight, while also balancing the loot drops from the Halloween meteors. The T2 doors are also getting fixed. Made the minimum spawn and decay time for meteors be 60 seconds. Made it so meteor spawning could not be triggered if it is already spawning meteors. Hey everyone, it’s time to update. We’re rolling out a hotfix for the PS4 version of Conan Exiles today with several fixes for various thrall and pets issues. All the details can be found below. Come one come all! We have released the second part of the Pets Update for PS4! The latest free update to Conan Exiles lets you raise and tame the wild beasts of the Exiled Lands. Pets will fight for you, defend your settlements and produce valuable resources while confined to their pet pens. We’re also rolling out some bug fixes and some critical crash fixes. Greetings fellow travellers! The PS4 patch for Update 34 has passed certification and so we’re bringing it to you on this fine October day. Gather 'round everyone, for on this day, October 4th, we’re releasing the next update for Conan Exiles! Well, sort of. We’re releasing half of the Pets Update, meaning you’re getting the Midnight Grove, the Jhebbal Sag religion and thrall hunger system. The pets system will be released at a later date and we’re currently aiming for next week. This update may render your thralls invisible if you’re playing the single-player mode. To fix this, simply exit to the main menu and log back into your single-player game. This bug won’t happen again after you’ve done this. The Midnight Grove is where you learn the Jhebbal sag religion path, the sixth and final religion in Conan Exiles. You have to traverse a labyrinthian maze, facing down many dangers along your path before you make it to the end and discover the final challenge: Jhebbal Sag’s champion. Defeating the werewolf and consuming its flesh will give you the knowledge of Jhebbal Sag’s altars and religious items. Followers of Jhebbel Sag are all about controlling and hunting beasts. Special bloodletter knives allows them to extract blood from their victims and sacrifice it to their bloodthirsty master. They are also able to craft special lures that attract animals and other beasts to wherever they’re thrown, making them deadly and implacable foes out in the wild. The magical Mark of Jhebbal Sag will offer any creature caught within it up as tribute to the Lord of Beasts. In return he may send one of his champions to see if you are still worthy. Reaching the highest level of worship with Jhebbal Sag will grant you access to the deadly Claws of Jhebbal Sag. This devastating weapon allows you to truly tap into your inner beast and unleash furious swipes with razor sharp claws, much like like Jhebbal Sag’s champion. As part of this update we’re rolling out thrall hunger, which requires you to feed your thralls in order to keep them alive. The objective of this is to add nuance and flavor, not grinding, and we’ve gotten a lot of valuable feedback from our Testlive audience when tweaking the numbers. We feel we’ve arrived at a reasonable balance for this mechanic, but we always welcome more feedback. Avatar special attacks now damage buildings with the correct amount of damage. This is not a total fix for avatars as they are undergoing additional changes and updates as part of the siege system re-balancing. Set is still being difficult! Fixed a bug where Archer Thralls would produce infinite amount of special arrows. We have a new hotfix out for the PS4 version, to take care of some issues with the clan menu and remove the lag that would happen when locking onto an enemy and giving them a debuff. Member list should now always be sorted on Character Name. Clan Leaders can do anything to anyone; Kick, Promote, Demote. All ranks can look at everyones profile. Good morning, exiles! Today we’re rolling out a parity patch for the PS4 version of Conan Exiles. This will bring several large patches over from the PC, updating the game in a variety of ways. Hold onto your butts, because this is going to be long! One thing to mention here is that this patch will have collision changes on wall-shaped building pieces and the triangle foundations (all tiers). We’ve unified them to be the same size, and tested to make sure things shouldn’t fall down or disappear from them. It’s possible to lead to some slightly odd builds that can have some placeables disappear. This should hopefully cause only minor (if any) issues on consoles. If you want to be 100% sure that there will be no issues, you could move placeables and containers off triangle pieces and onto square foundations before the patch goes live (and move them back afterwards). Black Hand Tent - Lateen can be placed on the ground correctly. Hot temperature debuffs adjusted slightly - removed max health penalty from them. Moved "Encumbered" notification to a more convenient location on the screen. Added a tool tip to the "Avatar Lifetime" combat server setting. "Invalid Placement" text was previously difficult to see against snowy ground. The "spit emote" book is no longer located underground. Fixed an issue where only two master workstations can unlock "Create Master Workstation" Journey Step. Some of the green crystals could previously not be harvested in "The Passage". Fixed an issue where "Get Dedicated Weapon" achievement would not trigger in all localizations. Most weapon-recipes now grant the "Craft Weapon" journeystep instead of only select primitive weapons. Fixed a pocket inside a mountain at "The Crevice" that could previously be built into. As previously announced we are also working on a parity patch for the console versions of Conan Exiles, to bring them up to speed with the PC version. Our target for this parity patch is next week. Fixed a crash related to being “Skulker’s End”. OverrideDecayTime = N, default value 3600. Fixed crafting progression being lost/reset on server restart (this includes Thrall progress resetting inside the wheel of pain). The amount of seconds it will take this building to decay into abandoned state, and it will then stay in abandoned state for 10% of this time. With the example of the default values, any building with 6 or less pieces will go into abandoned state after 1 hour. And then completely decay and be destroyed after 10 minutes in abandoned. It will not get this overriden decay time if there is a placeable, like a bedroll or a campfire, near the building. And it will instead work like before. This is a quick thing we added to combat the “mine-fields” of pillars/foundations placed around the world to claim land. But we’re looking into better approaches. There’s a new hotfix out for the PS4 version of Conan Exiles. This adds the new Imperial East Pack DLC and fixes some of the issues you may have had if you were able to access the DLC early. We’ve also included some exploit fixes in this hotfix. Fixed an exploit being used to duplicate orbs. This fix was also in the PC version, where the exploit was more prevalent, alongside a script that would wipe all explosives. Due to technical reasons this script has carried over to the console versions. We apologize for the inconvenience. We’re rolling out an additional PS4 hotfix at 3pm CEST with some crash fixes and an improvement for the server list. Some servers (private and official) will appear on the list with 9999 ping and full player slots. This isn’t because the server is down, it’s just because the server hasn’t been pinged by the game. If your chosen server appears to be full, with 9999 ping, just wait a few minutes and the server will be pinged automatically. Then it should update with the correct ping and number of players and you can connect! If the process takes too long it will time out. Ping will be listed as 9999, but it will show 0 players online. If that happens you can still connect to the server. Hey everyone! We’ve rolled out a new PS4 hotfix in to take care of some pressing issues. This fix should allow you to use warpaint again and make sure dodging works as intended. We’ve deployed a hotfix to the PS4 version of Conan Exiles to address some reported crashes. Update: Warpaint and stamina glitch fixes were erroneously in the list of notes. We apologize for the miscommunication. Players will be kicked after 30 mins of inactivity. KickAFKPercentage = 80 (integer value, between 0 and 100). The percentage controls how many players need to be logged on before the system starts to kick people. So if set to 80 then you need 32/40 players logged in before it will start to kick anybody. If set to 0, the system should be off. PurgeNPCBuildingDamageMultiplier server setting now uses per purge difficulty rather than server max purge value to calculate damage modifers. Previously a difficulty 1 purge could use the damage modifier for a purge difficulty 5 (20x instead of 5x) if max purge level was set to 5 on the server. Lower difficulty purges now deal less damage to buildings. Player thralls now follow same rules as buildings for taking damage from players. 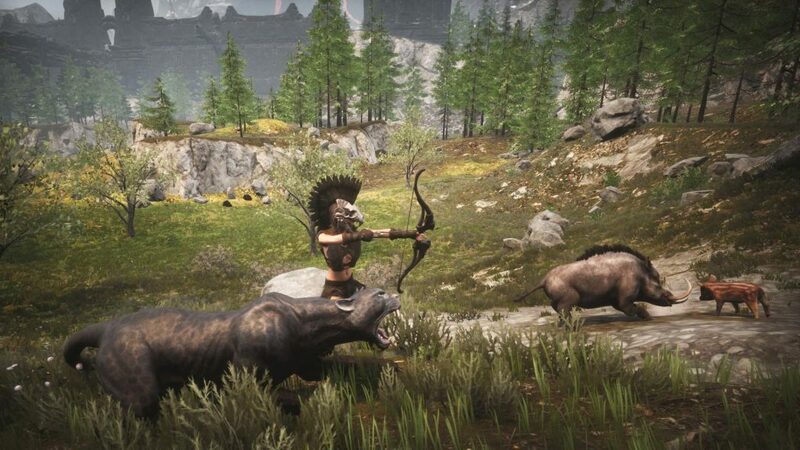 Both PvE and PvE-Conflict servers will have invincible thralls. Fixed a problem with not being able to use unarmed attacks or kicks, along with unarmed fist items showing up in inventories. Fixing another issue where pillars and other socketless connection building pieces could fail to give proper stability. Please report any issues you still encounter with missing building pieces. New fix for “no owner” displayed on building and placeables. Extra support to vertical and diagonal support building pieces has been reduced. Fixed a server crash related to display racks. We’ve patched the PS4 version with some crash fixes.There are no patch notes for this update.